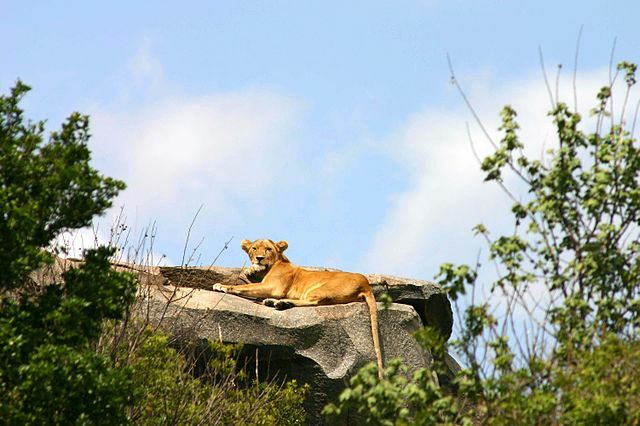 “Lioness-in-the-Serengeti” by Charles J Sharp – Cannon EOS with 300mm zoom lens. Licensed under Creative Commons Attribution 2.5. If you talk to twenty different people about how to “show up strong” you may get twenty different answers. This is because we all view strength through our own lens. There are, however, many studies that do show some statistically common responses to various behaviors. It’s good data, when interpreted correctly. Unfortunately, many people interpret it to sound as though we all have to be Ringmasters — performers with a booming voice, oozing charisma — to get anyone to follow us. Fortunately, this is not true. There are some great resources out there which suggest alternate paths, such as Quiet Leadership by David Rock, and some of the insights in Good to Great and Built to Last by Jim Collins. Why am I / are we doing this? What impact can / will it have? If the batting coach only talks about batting 100% of the time, and never about the team as a whole, he or she will never be seen as someone who can be the head coach. Take time to understand what the big picture goal is and how your piece of the puzzle connects to it. Reference that big picture any time you are speaking or presenting. Here is where the external self becomes an even bigger part of the equation. Pay attention to your physical habits. Do they say small, weak and unsure, or strong, open and confident? Are you like a mouse, with quick, small, nervous-seeming movements? Or are you like a lion with big, deliberate movements? This does not mean loud = strong. Birds can be loud, squawking all the time. A bunch of loud squawking does not say “powerful”. It says “annoying”. Lions do not roar all the time. But you always know they are there. And when they do vocalize, you listen. Envision a mirror in front of you. What body language do you see? Ask a trusted colleague how you are showing up and what behaviors, words and vocal cues give that impression. Remember that we are all sending messages of submission, power, understanding, focus, nervousness, confusion, and many other things continuously through our actions and our words. What do yours say about you? Self awareness, if we do nothing with it, is not worth much. Once you identify behaviors that are counter-productive, you must engage in some kind of behavior modification. This may be a quick and easy change or a long, difficult process which takes many, many times to practice until the new behavior feels more natural. Remember how long it took you to learn to walk? No, of course you don’t, but I’ll tell you it wasn’t quick and it wasn’t easy. But you did it. Decide and practice in advance what behaviors you will use to replace the behaviors you don’t want. Keep practicing until the new behaviors become ingrained. Just before “performing”, do something physical. Get out the excess energy if you have too much with some jumping jacks or shake it out with your arms and shoulders like a boxer (where no one can see you!) Or, if you feel withdrawn and low energy, do some power poses and power breaths to feel bigger and stronger. Only try to control what you can control — you! Remember that you will survive no matter what. Seriously. Framing the situation properly can help to quell that fight or flight response in our brains that can send us back to our old habits. The great thing about using strong behaviors is that it actually affects your brain chemistry and you feel stronger too, especially over time. Our minds and bodies have a pretty cool thing going on there. Try these four tips and let me know how they help you to show up strong!